Understanding tax benefits and credits | Alzheimer Society of B.C. Tax season can be a confusing time for people affected by dementia. This tele-workshop walks you through the various tax benefits and tax credits available to caregivers and people with dementia, such as the Caregiver Amount and the Disability Tax Credit. Kay E. Gray is a Tax and Estate Planning Specialist and Tax Partner with Grant Thornton Consulting. 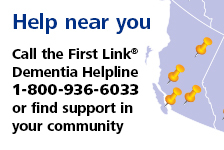 She is a former board member and treasurer of the Alzheimer Society of B.C. and continues to actively support various charitable organizations in the Vancouver community. Understanding Tax Benefits and Credits (2016 Tax Year) - with guest speaker, Kay E. Gray.